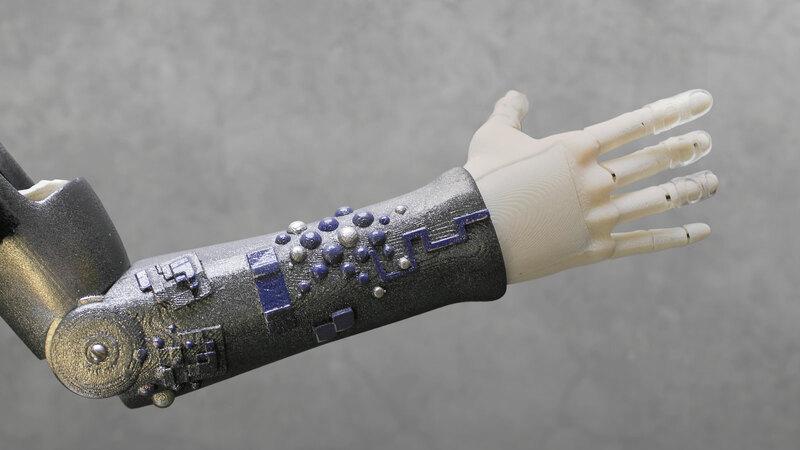 Limbitless Solutions didn’t start off with the colorfully detailed, custom designs for which they’re now known — such as the Iron Man-inspired arm their first recipient, Alex Pring, received in 2015. 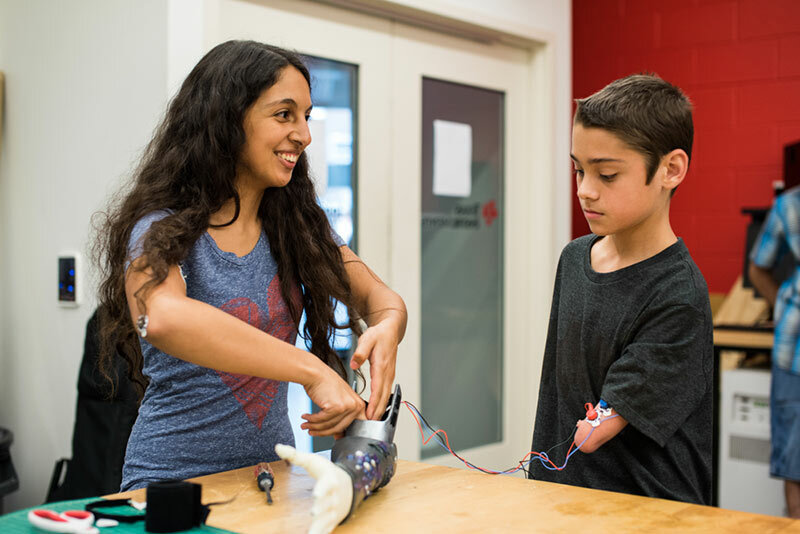 It wasn’t until the UCF student-run organization that creates free, 3-D printed bionic arms for children noticed Alex changing the colorful fingertips on the original arm he received that they realized how important it was to give kids arms that show off their personalities. This creative customization is what inspired Stephanie Valderrama ’16 to volunteer for the nonprofit. The graphic design major says she often found herself in the engineering building, admiring its innovative, fun spaces, when she came across a display of Alex and the work Limbitless Solutions was doing. After first putting her graphic design skills to use on one of the organization’s Indiegogo campaigns, which helps to raise much of the money to create and build bionic limbs, Valderrama finally got to show off her artistic abilities, designing and hand-painting the intricate details on many of the arms.